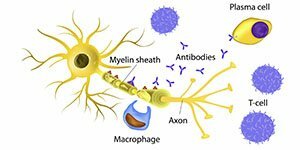 There is a big variety of early signs of MS. It is not the same for every person and it can be a combination of different problems. The most common first signs are problems with vision. This is medically known as “optic neuritis”. Central vision gets disrupted and because of it a person can see blurry on one or both eyes. In some cases looking up or to the side can be painful. Numbness or tingling can also occur. 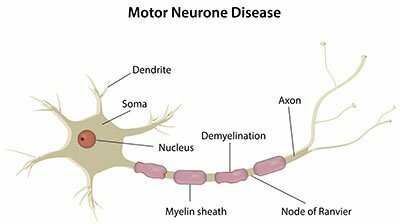 This happens because the nerves are affected by the disease and those in spinal column and brain fail to perform correctly. When no signals are sent to some parts of the body, numbness is created. This usually happens in the face and limbs. Multiple sclerosis can be painful even at the very beginning. Around half of people diagnosed had experienced spasm or pain that can even be of a clinical significance. Other times it can be just chronic. Muscles tend to feel stiff usually in the legs, but back pain is also not uncommon. 80% of people have reported feelings of fatigue and weakness in the legs. This can last up to a few weeks, before it gets better. Coordination and balance can also become a problem. Dizziness and vertigo may follow, essentially when a person stands up. Most people have bladder problems with a need to urinate often, and in some cases inability to hold in urine. Sexual arousal can also become a challenge. 50% of people have cognitive problems with speaking, concentrating, staying organized or memory loss. Besides the body, multiple sclerosis can also affect mental health. It is common that those who suffer from multiple sclerosis also have troubles with depression. Other emotional disbalances include mood swings and a specific condition that makes a person mix crying and laughing in a very short time span. 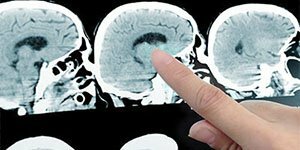 Diagnosis of seizures and tremors are characteristic, especially in the early stages of Ms.